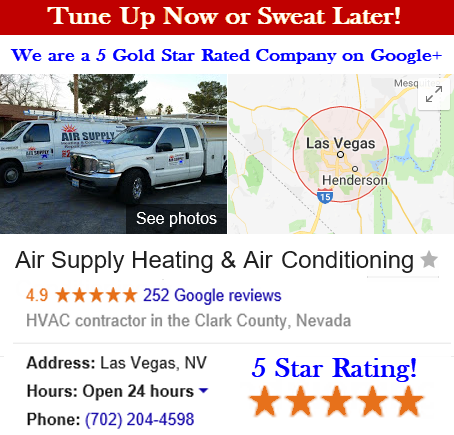 Throughout Greater Las Vegas, the scorching summers and bitter winters result in commercial businesses and residential homes depending on fully functioning HVAC systems, and with Air Supply Heating and Air Conditioning being fully licensed and insured, we offer full HVAC system premium services to locals across the valley. Our experienced experts being licensed and certified combined with exclusive professional grade equipment and products, we extend our high moral standard and friendly customer service to ensure everyone of our valued customers gets the ultimate experience when employing any of our services. Maintaining a healthy air conditioning unit so to speak is important for efficiency as well as longevity. Coils especially need to be cleaned often enough to prevent damage, over-exertion, efficiency and your indoor air quality. 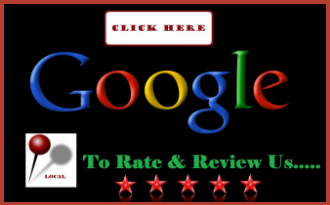 Depending on the model of unit you have in your Las Vegas, NV and surrounding areas home or business effects the way the coils and air handler needs to be cleaned. Having your coils and air handler clean assures your unit is up to par in all the attributes of a smoothly operating air conditioning unit. 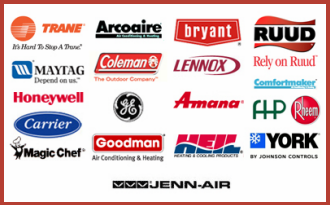 Air Supply Heating and Air Conditioning offers coils and air handler cleaning services to all of our appreciated customers. Air Supply Heating and Air Conditioning lists the two basic methods in cleaning the coils and air handler on your unit. Method 1 is removing the front panel. The easiest and most direct method in cleaning the coils is by removing the front panel. However, in some air conditioning models, the refrigerant has running lines that line across and through front the panel, in which case, method two of sliding the coils forward is how Air Supply Heating and Air Conditioning technicians clean them. When sliding the coils forward, great caution and steadiness must be applied, including when the drainage pan and any other parts need to slide forward cleaning. If too much force is used, the coils can become damaged. Once the evaporator coils are exposed on your air conditioning unit to your commercial or residential home in Greater Las Vegas, Air Supply Heating and Air Conditioning then removes the screws holding the coils and air handler in place. With precision and care, we gently remove the coils and air handler for a thorough cleaning, being extremely careful not to inflict any damage. When Air Supply Heating and Air Conditioning professionals clean your unit’s coils and air handler, we utilize the top-of-the line cleaning agents appropriate for the part and air conditioning unit. Removing the buildup of dirt, rust, and dust with a specially designed brush and cleaning detergent, your coils and air handler are cleaned to perfection to contribute to your Las Vegas valley’s business or home’s air conditioning unit. Air Supply Heating and Air Conditioning experts also clean the plate and surrounding parts to keep the air handler and coils cleaner long. Depending on the unit, this process can take 1-3 hours. The longer length of time is due to when the air conditioner’s coils are in a more complex location. Maintaining your air conditioning unit can greatly reduce any major malfunctions, and keep you in comfortable temperatures when the burning Las Vegas desert temperatures are blazing. 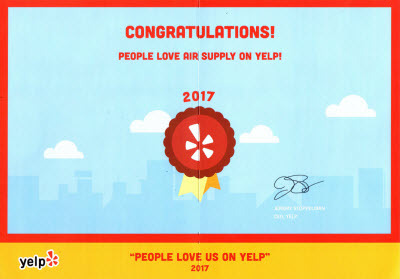 Air Supply Heating and Air Conditioning is passionate about helping our customers avoid unneeded malfunction and repairs. Call us today to get your air conditioning unit a coil and air handler cleaning today!